Seen cinematic drone videos of a ride down the Great Ocean Road and your friends’ Instagram Stories of their cafe-hopping adventures in Melbourne, giving you a serious bout of wanderlust? If you’re looking to plan your own trip to the Down Under but aren’t sure how much it’ll cost or what you should see and do – you’ve come to the right place. 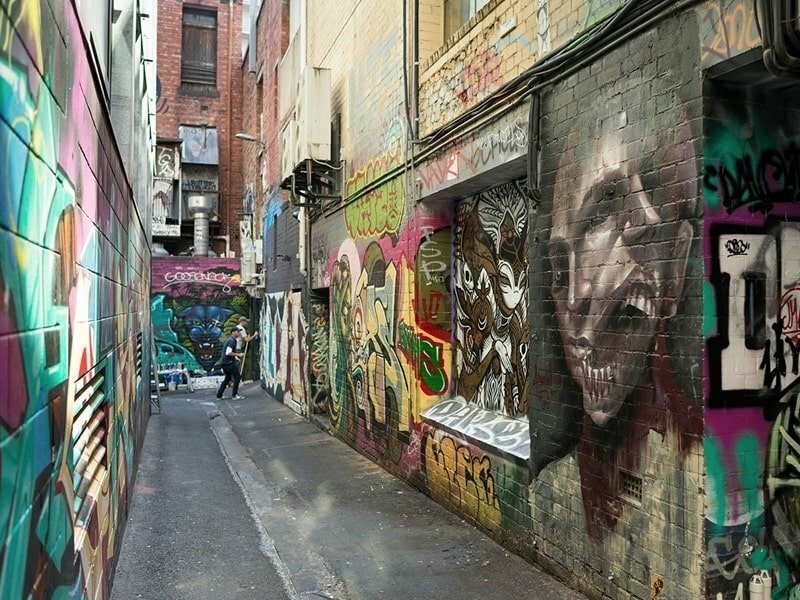 We’ve put together this handy guide for first-timers so you can explore the wildly popular areas of Victoria, the state that Melbourne calls home. 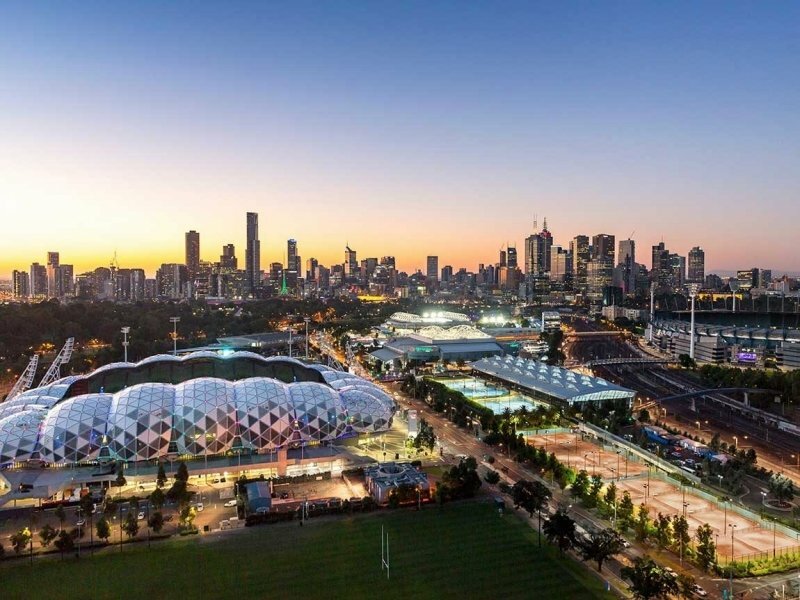 Keeping the costs in mind, this is an introductory road trip to get you well-acquainted with Melbourne in the short span of four days! 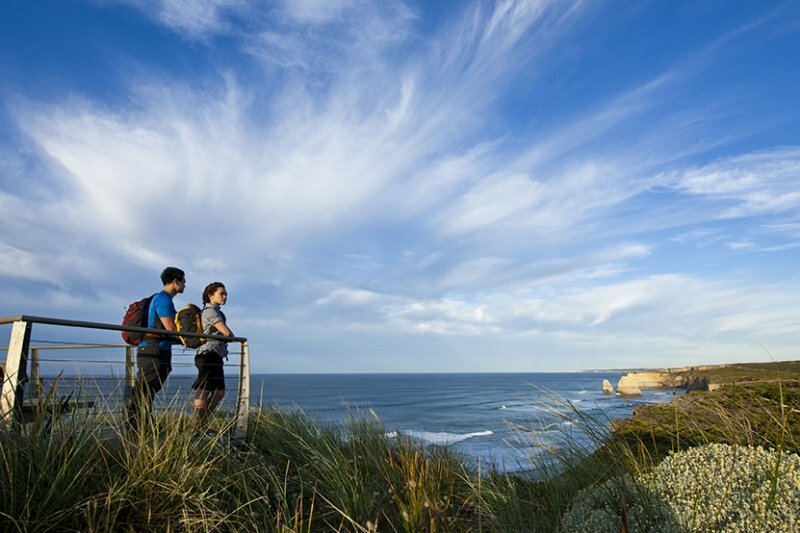 Starting out with Yarra Valley, you’ll cruise along the Great Ocean Road before heading back to Melbourne City. During this trip, you’ll get the best of wineries and scenic pit stops before ending up with the familiar yet new aroma of coffee in the city’s cafes. First things first: you’re gonna need to book a flight. The flight takes about seven hours, so choosing the right carrier is critical to starting your trip the right way. If you want to fly in comfort at amazing fares (who doesn’t?) look out for the best deals in town – and not just to Melbourne, but all across Australia! – here. Since you’re gonna be hittin’ the road, you’re gonna need a ride. That said, given the many independent car rental services available in Melbourne, it’s a hassle to figure out which service is reliable and of quality. 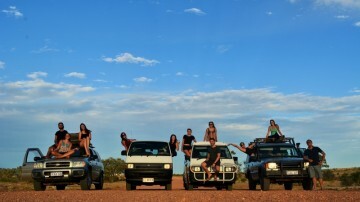 You can compare the best car rental rates for your road trip here! Tip: Remember to check whether your car rental is slated for in-terminal or off-terminal pickup. Off-terminal pickups can save you some money, but is more of a hassle – especially when you’re dropping the car off at the end of your trip. CheapTickets.sg is offering a special promo for full-service carrier flights*! Enjoy $20 instant flight discount for flights from Singapore to any city in Australia and $50 discount for your next flight booking after you make a flight + hotel booking*. What’s more, you can get up to 50% off car rentals worldwide^! Collect your car keys before 30 June 2019 and hit the open road! Talk about maximising your dollar! *Flight promotion is valid until 28 February 2019. Not valid for budget carriers. ^Car rental promotion is valid from 27 January to 4 February 2019. Have a week to spare? Check out a 7D road-trip itinerary here. This plotted route is 139-kilometre long and calls for approximately two and a half hours of driving time. Start your day at Yarra Valley Chocolaterie & Ice Creamery! This all-day cafe serves freshly-baked waffles topped with ice cream. Don’t worry if your stomach isn’t used to having a sweet breakfast, for crowd favourites like smashed avocado and bacon & eggs are also on the menu. While here, marvel at the extensive range of chocolate treats in the store. This is the perfect place to stock up on your nibbles for the rest of your road trip, so grab a basket and get shopping! Fun fact: did you know that the platypus is a venomous animal? 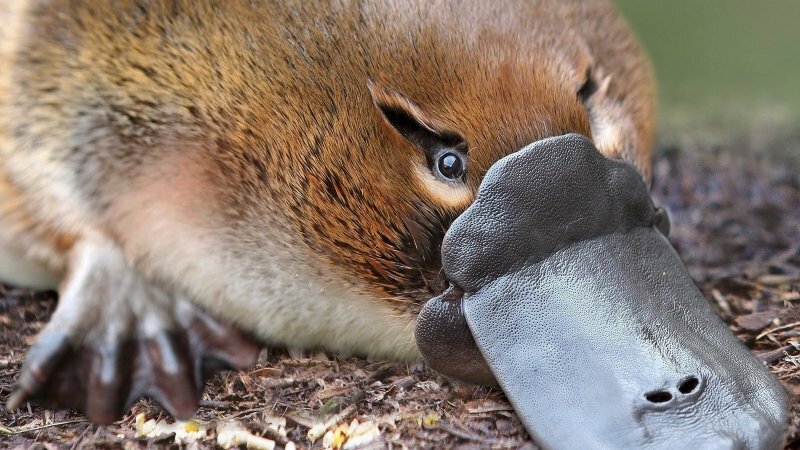 Here’s your chance to learn more about Australia’s native animals like the platypus at Healesville Sanctuary — the one place to get up-close and personal with Australia’s bushland animals. 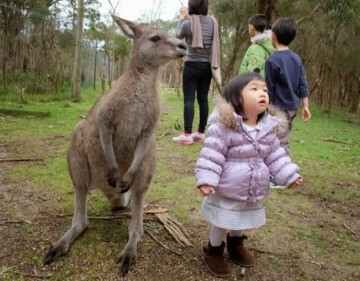 Kangaroos, wombats, tasmanian devils, echidnas, dingoes, and definitely the strange, furry platypus are some of the many animals you’ll get to meet! Entry fee: $37 for adults; $19 on weekdays, free on weekends and holidays for children aged 4–15; free for children aged 3 and under; $33 for seniors (must present ID on entry). Of course, a drive through Yarra Valley isn’t complete without a visit to at least one of its wineries. 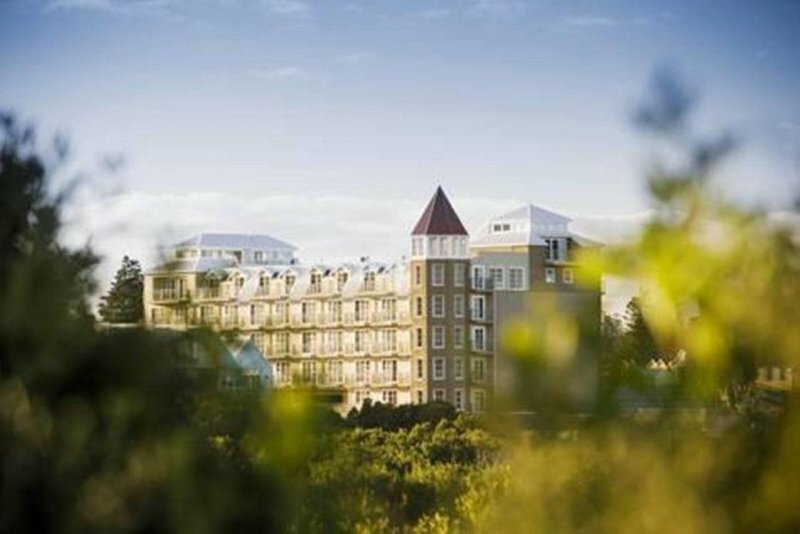 Domaine Chandon hails from the renowned champagne house Moët & Chandon. By combining cool-climate, time-honoured production techniques and decades in the art of producing Australian sparkling wine, Domaine Chandon is one of the more notable vineyards to visit. Should time permit, we also recommend making pit stops at Badger’s Brooks Winery and Coombe Farm, which are all in the same vicinity. By now, you’re tired and you could either take the drive back to Melbourne and stay the night in a hotel, or you could stay out in the relaxing suburbs for a cheaper stay. We recommend heading to Healesville; the suburb stays are not only charmingly quaint, but much cheaper as well. With CheapTickets.sg, you can find comfortable night stays for less than $200! So rest up and head back to the city the next morning feeling well-rested. 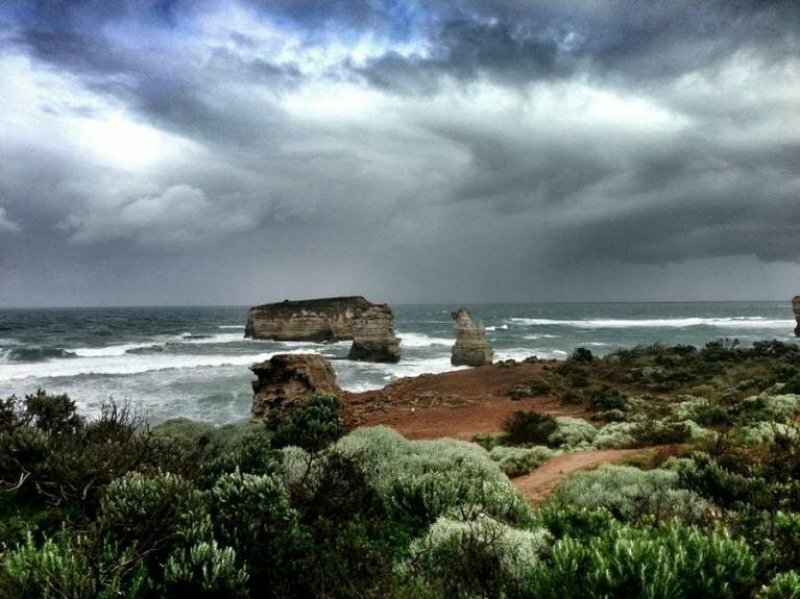 Now comes the big one: the Great Ocean Road. 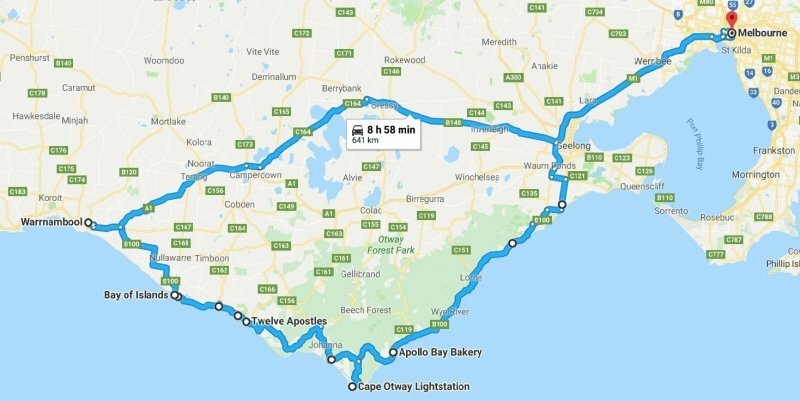 Stretching 641 km, this route will take you from Melbourne to Warrnambool and back in about nine hours – that means you’ll be treated to changing landscapes and plenty of different scenery! From Melbourne, head to Geelong and then south to Torquay. This is where the Great Ocean Road starts, so plug in your road trip playlist for some serious vibin’ and follow the road down past Anglesea and the Memorial Arch. With the glistening ocean to your left and the lush greenery to your right, the drive is more than worth it. When you need a break from driving, step out into the fresh Australian air and soak in the surroundings! Slow down when you reach Apollo Bay — the more exciting part of your journey is just beginning. Here, the road deviates from the coast and winds right through the Great Otway National Park. 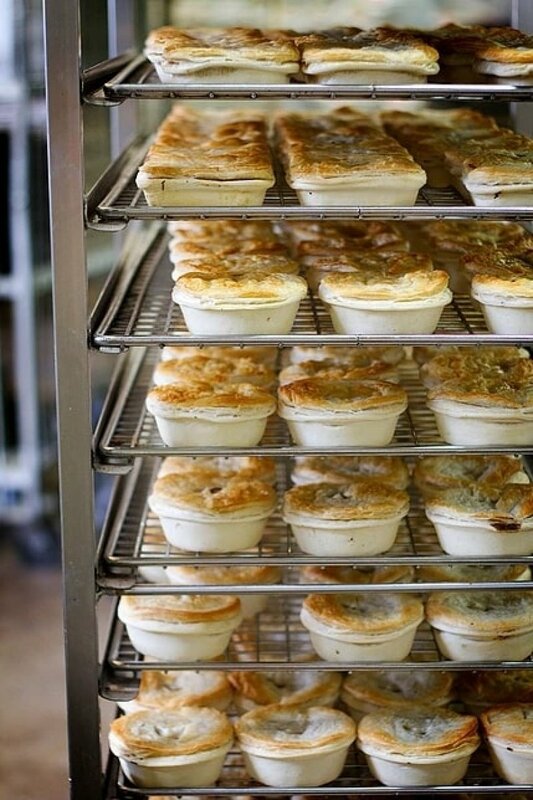 While you’re here, head to the Apollo Bay Bakery and grab a scallop pie (or two). With whole scallop pieces (yes, plural) in a warm, flaky-crust pie, this is one place you’ll want to fuel up at before you hit the road again. 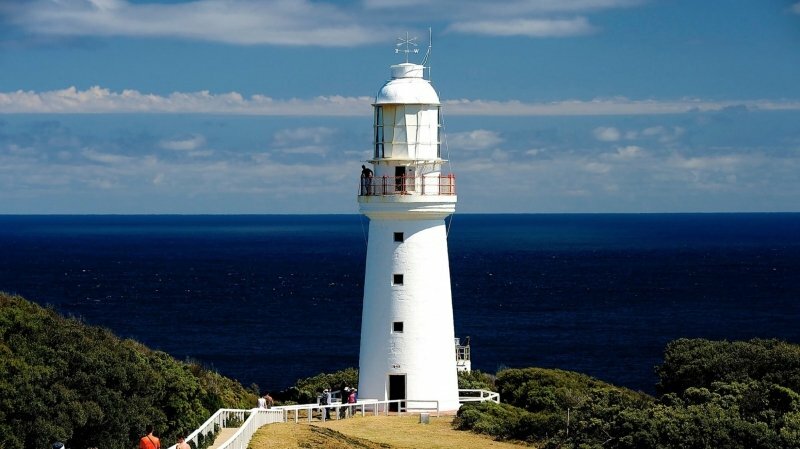 As you drive through the majestic reserve and admire the greenery, take a detour down Lighthouse Road past Cape Otway to reach Cape Otway Lightstation — dubbed the most significant and oldest surviving lighthouse in all of Australia. 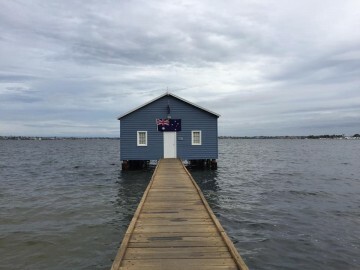 For a small entrance fee, you’ll get to climb the lighthouse and learn its history of saving lives among other activities like a visit to a WW2 radar bunker and educational talks about the native Aboriginals. 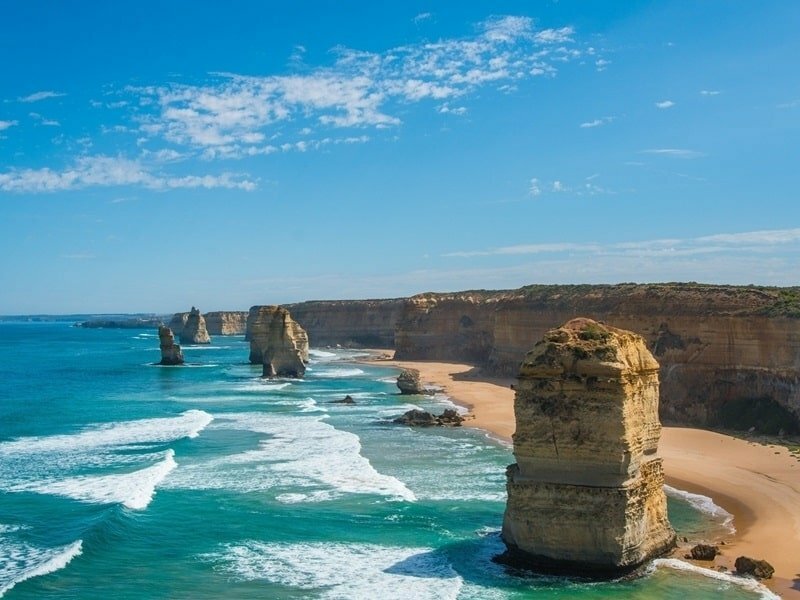 Continue along the Great Ocean Road and when you start to see the coast again, you’ll be greeted by Gibson Steps and the world-famous Twelve Apostles. Here’s a fun fact: There aren’t actually 12 standing limestone stacks. There were only nine stacks when the site was christened in the 1920s. Now, only eight stacks remain; one collapsed in 2005 due to natural erosion. Another favourite stop-off point close to the Twelve Apostles is the Loch Ard Gorge. The gorge is incredibly camera-friendly with its blowholes and magnificent natural rock formations like Razorback and Island Arch. It also has a tragic history, being the shipwreck location of a vessel called Lord Ard which sailed from England, where most of its passengers perished. 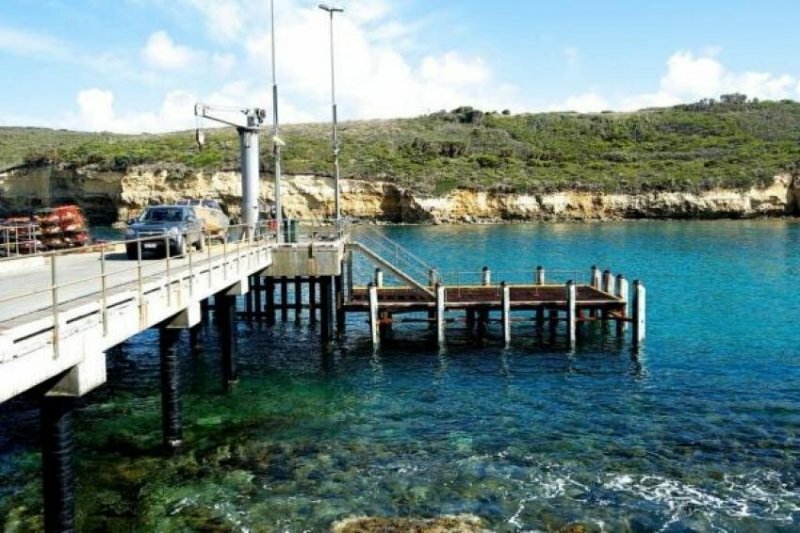 Stop by Port Campbell, a beautiful, quaint little seaside village to fuel up on food and, well, fuel. We recommend grabbing a bite at Waves Cafe, Bar and Restaurant. With their extensive menu, this eatery is a must-try. Now that your tummy’s full, it’s a good time to take a break. 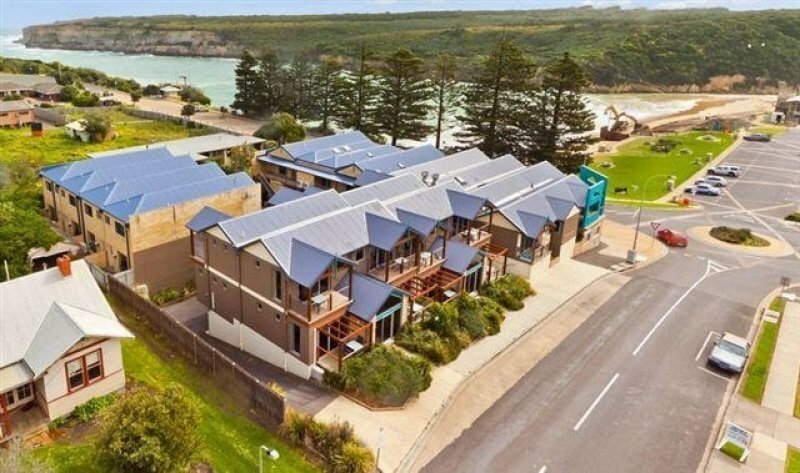 Finding a place in Port Campbell is a little pricier than in Healesville, but the ocean breeze and charm of the small village more than makes up for the price. 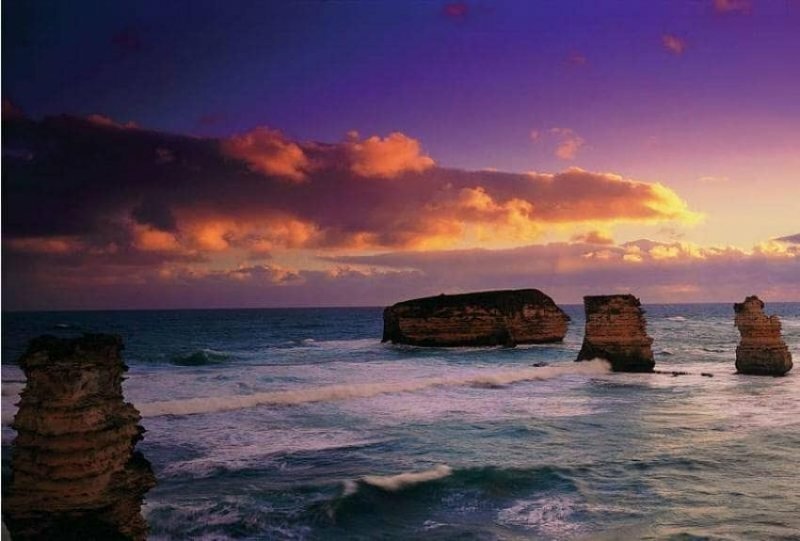 So rest up and be ready to start on the second leg of your Great Ocean Road journey tomorrow. London bridge is falling down, falling down, falling down… or so the song goes. In this case, the bridge did fall. The London Arch — or affectionately known as London Bridge — didn’t always look this way. Originally, this grand offshore rock formation was a natural archway and tunnel, but the collapse in 1990 left this bridge without a middle, bringing spectators a panoramic view of the Southern Ocean. In its simplest terms, the Grotto is a sinkhole where the limestone cliffs fell away to meet the receding cliff line. 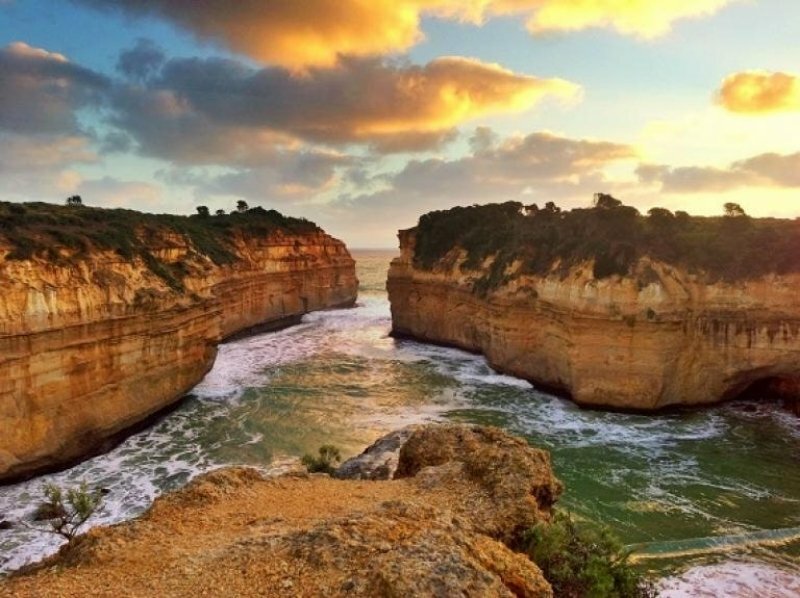 In its most colourful terms, it is the most enchanting and impressive rock formation along the Great Ocean Road. A cross between a blowhole, a cave and an archway — there’s really no competition here. If it isn’t too windy and the tide is low, do head down to see the Grotto at eye level and be awestruck by the sight of the setting sun through the archway and the smooth rock pools glistening pink and gold. After Peterborough comes the last stretch of the Great Ocean Road. 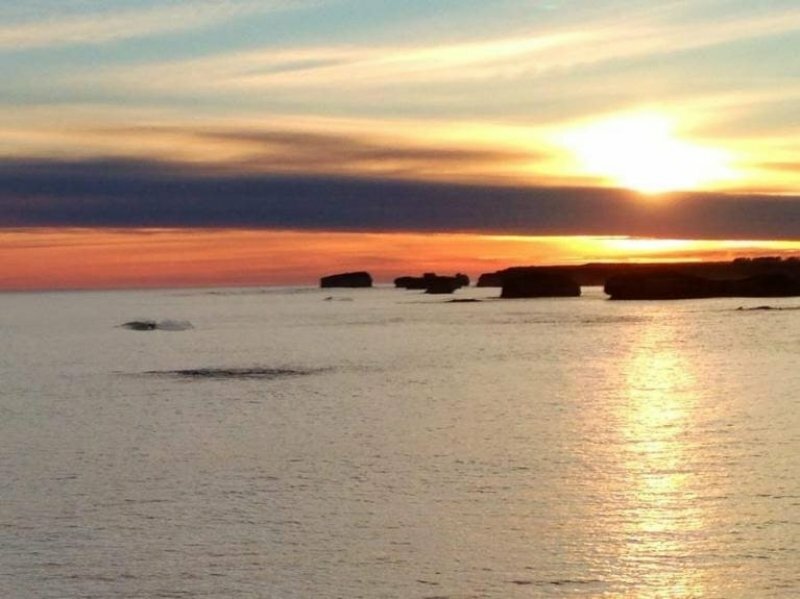 The Bay of Martyrs is another landmark with beautiful scenery, and especially eye-catching when the sky gets painted by the setting sun. Keep an eye out for avian wildlife here, you might spot emu-wrens or even peregrine falcons gliding above the soaring cliff tops. 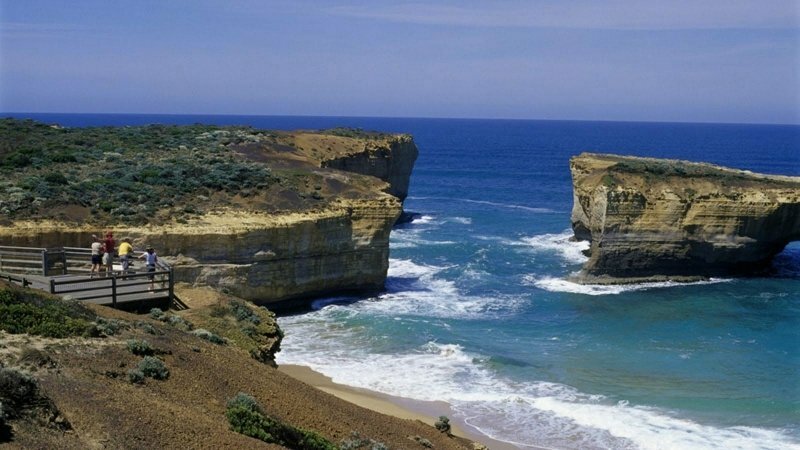 Not to be confused with the Bay of Martyrs, the Bay of Islands are a different set of limestone stacks standing in the Southern Ocean a little further down the Great Ocean Road. Yes, these sites are all Instagrammable and photo-worthy, but the Bay of Islands receive fewer visitors than its popular counterparts, so there’s a chance you can have the site all to yourself! The best light condition to take photos here? Overcast conditions! So don’t feel too down if the weather isn’t the best on your trip and seize the opportunity to snap the best photo of these majestic formations. 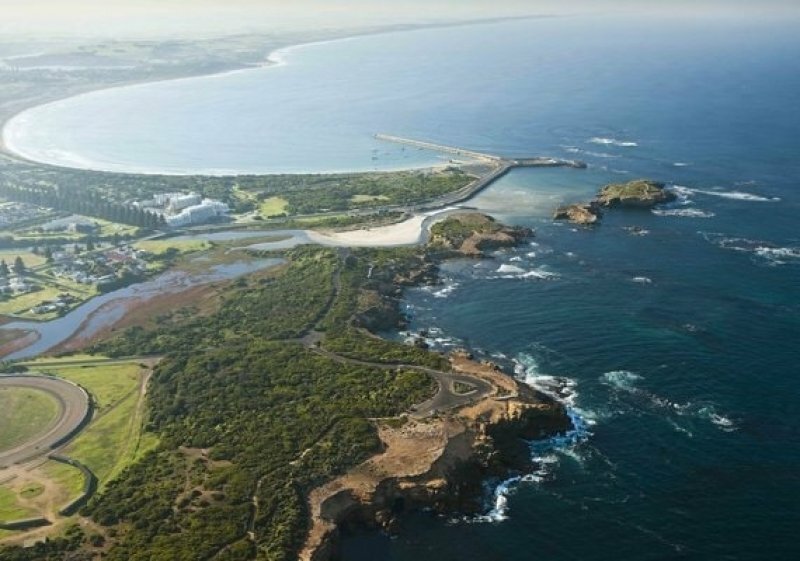 By now you’re probably starting to get hungry, so head on towards Warrnambool, the Western end of the Great Ocean Road. Check out Picked Pig if you truly feel like splurging, or the Hairy Goat if you’re not. Don’t worry if your budget is really tight; Standard Dave tosses great pizza for value that’s even better shared! 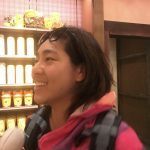 Congratulations on completing the Great Ocean Road (hopefully with no traffic tickets)! 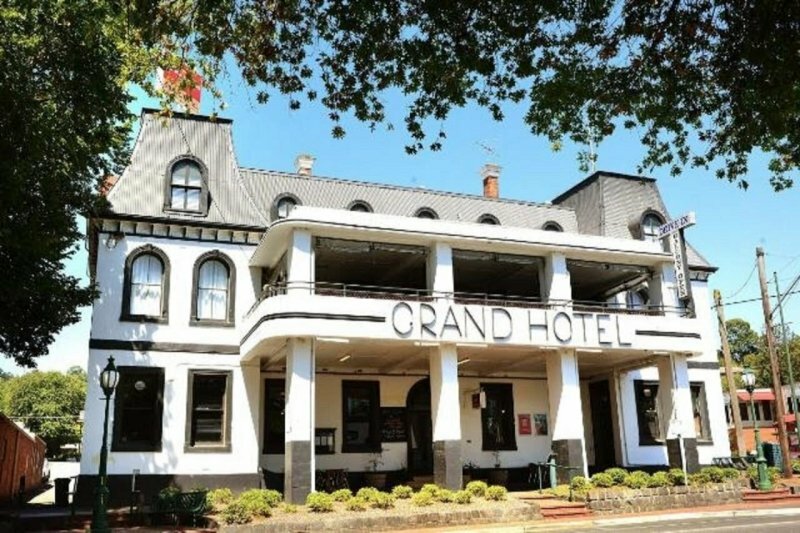 Now’s a good time to have a good sleep in one of Warrnambool’s cosy hotels. Most of the rooms range from $100 to $200, so it’s not hard to find a decently-priced one to your liking, but be sure to book early before all the good rooms get snatched up. Now that you’ve had your feast of both food and sights, it’s time to have a restful night and make your way back to Melbourne’s main city centre the next morning — the fastest way is via the M1 and C119. Drive safe! You’ve just had three fully packed days of driving, now it’s time to stretch your legs and do a little walking before you hop on your flight back. If you have some time left, head down to the Melbourne Museum to receive a healthy dose of knowledge or stroll through Bourke Street Mall and be serenaded by buskers (just be careful not to get in the way of the renowned Melbourne trams). Alternatively, if you feel like extending your trip to explore the inner city, you won’t be disappointed as there’s much more to be discovered here too! Still a little lost? 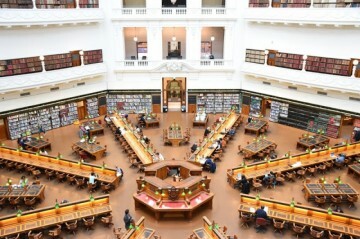 Why not check out the top 20 Awesome Things to Do in Melbourne? Now when people ask about your travel plans, you can wow them with your all-encompassing road trip experience that is also incredibly cost-efficient! Brought to you by CheapTickets.sg.